One of R&B music’s most beloved and consistently popular vocal groups, The Whispers, began their legendary and timeless career in 1963. Twin brothers Walter and Wallace Scott joined with friends Nicholas Caldwell, Marcus Hutson, and Gordy Harmon to form a local singing group. They perfected their tight harmonies on the street corners in the Watts section of Los Angeles and in nightclubs in the in the San Francisco/Oakland Bay Area. The Whispers’ four decades of accomplishments were acknowledged when Charlie Thomas of the Drifters inducted them into the Vocal Group Hall of Fame. On June 12, 2005, The San Francisco Chapter of the Grammy Awards presented the Whispers with the prestigious Governors Award, the highest honor bestowed by an Academy Chapter. They continue to perform to sell-out crowds all over the world, and their popularity continues to grow among youth whose parents “raised” them on the Whispers’ music. They are also known for their charitable work with youth that participate in the PAL (Police Athletic League) Reading Program, and their ongoing support to domestic violence organizations and cancer agencies. They are one of only a few “old School” groups that can boast of having over 40 years in the industry with a worldwide fan base, maintaining their vocal dominance and original members. 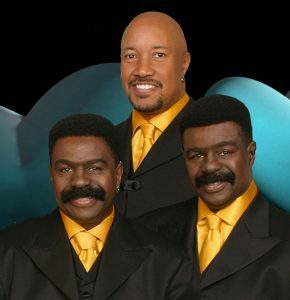 The Whispers waited almost a decade to produce a new CD in 2006. This independent product, the first venture of their newly formed company “Satin Tie Productions”, is a masterpiece entitled “For Your Ears Only”. According to Walter, “This title is a way of saying to our fans that we appreciate everybody’s support that has been with us for many, many years.” Nick’s perspective deals with its essence. He states, “In my opinion, the CD represents the musical DNA and artistic expression of what the Whispers were and have become during their 42 years together. It was conceived to please the ears, hearts and minds of our super- supportive and loyal family of fans. It was a labor of love and I believe a body of work blessed by God.